GATE is organized by IITs and IISc, which have pioneered advanced education at master`s level in India. The sole purpose of GATE is not only to conduct a test for admission but, which is also the major goal, to identify the suitable engineers/researchers in various areas and make them to choose their area of choice in which they can pursue their master degree. As you know by now, GATE is only organized by IITs and IISc which always try to innovate and introduce new systems to test the basic knowledge of candidates in various fields. As a part of that innovation, the previous year GATE papers were fully objective type. This year also the same pattern is being used, and mathematics added! Although this made the job relatively easier for the evaluators, the candidates now have a bound choice to cover all the topics. As you know, the setting of questions papers at IITs and IISc in itself is very interesting. The designated faculty in each of the areas who provide the syllabus of a particular stream have the burden to set the questions which is finally combined to a full length paper. Being set by the highly qualified faculty, the questions papers are not like a very traditional one. They always try to test the very basic of candidates in respective areas by bringing the element of innovation in these papers. It is not surprising that sometimes the questions are mere applications of basic concepts in their area of research. The implication of this, it seems is that cracking GATE with a very high percentile is merely having the basics cleared. No! Absolutely not! As innovations are always a part of the question paper, one needs to be able to apply the basics in a new application, too. That is why similar to JEE, GATE is altogether different from other competitive exams. Here in GATE, one needs to prepare thoroughly by understanding the basics. It`s not at all the mugging up the end results (formulae) and directly applying them; instead, you need to know the principle in the derivation of those end results because in most of the cases the questions are based on the basic principle involved in the derivation, or the case where they may ask the behavior of the system under some other conditions or simple application of that result. Before the marathon begins, the `runner` puts in months, even years, of effort before he actually runs the race. As the saying goes - get your fundamentals right. GATE is an exam that tests you on your fundamentals. The questions are generally derivations of the fundamentals. Preparation for GATE is an ongoing process, and is supposed to happen in stages. First get your fundamentals right, and then test yourself on those fundamentals. When you have done this, you should pit yourself with the competition, which means a mock test which would give you a percentile to let you know where you stand amongst competitors. 1. Uniqueness in their study material: Study material provided by the coaching institutes is of little assistance if they are compact copy-paste or rewrite of materials taken from other books. If the reading of such material doesn`t increase interest and enjoyment then they are not worth it. There are plenty of standard books on each subject by good authors, which can make your study enjoyable during preparation. 1. Solve previous years` GATE papers: Solving previous years` papers gives you a fair idea of what the actual paper would be like. It also brushes up your basics and exposes your `areas of improvement`. 4. Take up a TarGATE which gives you your percentile and All India Rank : This is very important to avoid the "frog in the pond" syndrome. Students tend to take it easy if they attain a high score in the tests. 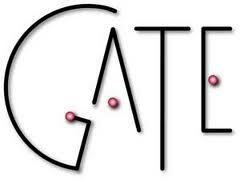 However, GATE is an exam in which people are selected on their relative scores. So even if you have scored 95% it does not essentially translate to a percentile of 95. You are competing with the best in India, and to get through GATE you should know where you stand to be among the `top few` selected for the interview. A test series of this sort is being provided by GATE Forum .